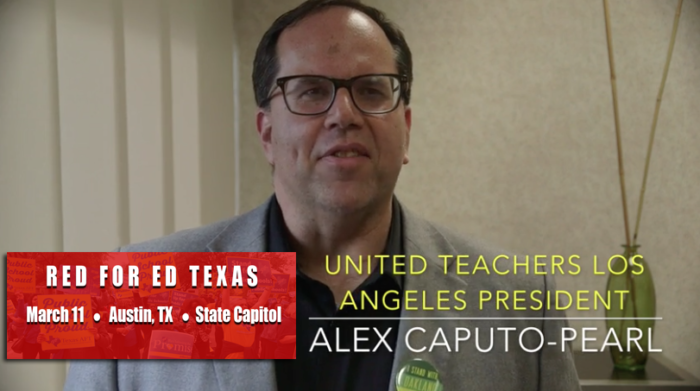 VIDEO: Hear union leaders from the Red for Ed movement support our March to the Capitol in Texas. These teachers and their students know that if you want more funding for our schools and higher pay for educators, you have to show up to be heard! Join us for the Red for Ed Texas March to the Capitol on March 11.